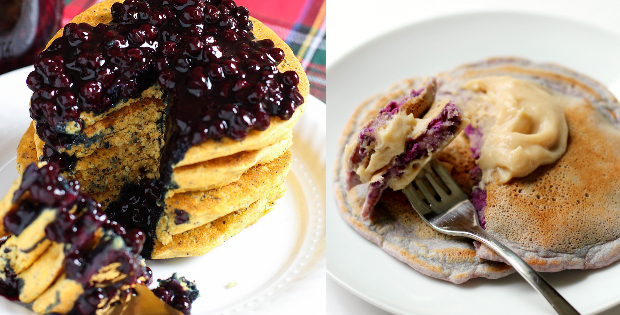 Eggless Pancakes: The Ultimate Guide + 8 TASTIEST Vegan Pancake Recipes! Since the coziest time of the year is here, what would it be without a Pancake Sunday? I have to admit, pancakes had become a meal I most rarely prepared after I went fully vegan, just because I never seemed to make them good enough. I never enjoyed the strong taste of the egg and milk substitutes (i.e. 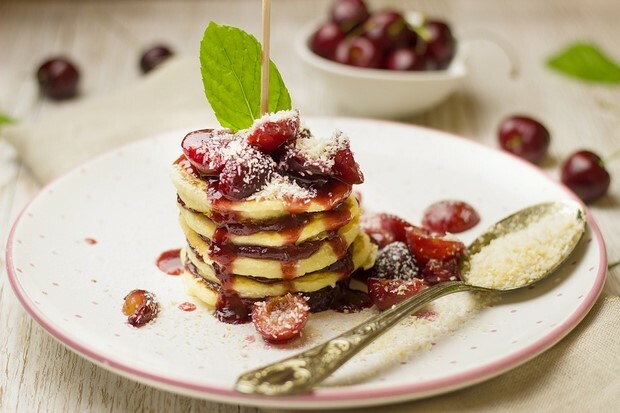 bananas) in pancakes. Not that I don’t like these ingredients, or don’t find them healthy – I just didn’t enjoy them in pancakes particularly. I had almost given up on pancakes! In the end, I didn’t, though. 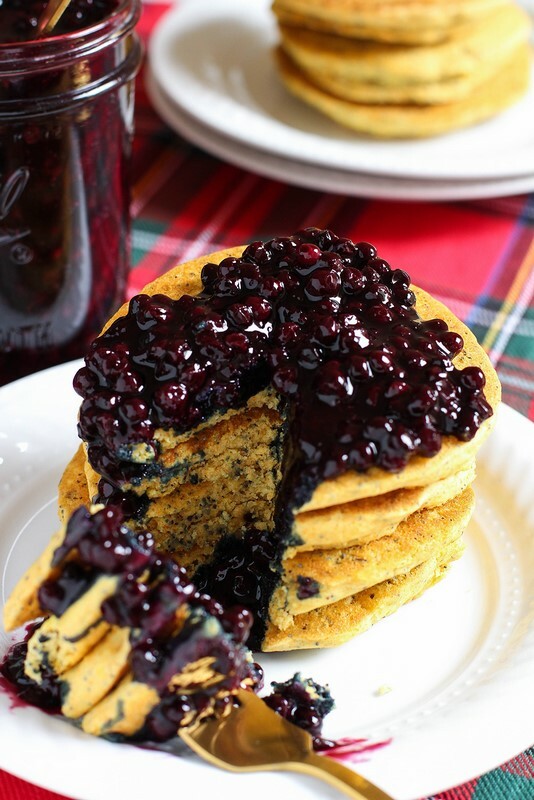 It just took me a while to test and try until I could come to terms with making vegan pancakes. This is a hard one for me. I usually take a recipe and adjust it to my own taste, but in the case of eggless pancakes, my experiments didn’t seem to work too well. Ingredient proportions in pancake making are very, very important, so if you are having trouble preparing good tasting eggless vegan pancakes, you would be better off trying out different recipes by following them strictly, rather than taking one recipe and experimenting with it until you get the result you want. Let the end result surprise you rather than having a particular taste in mind! 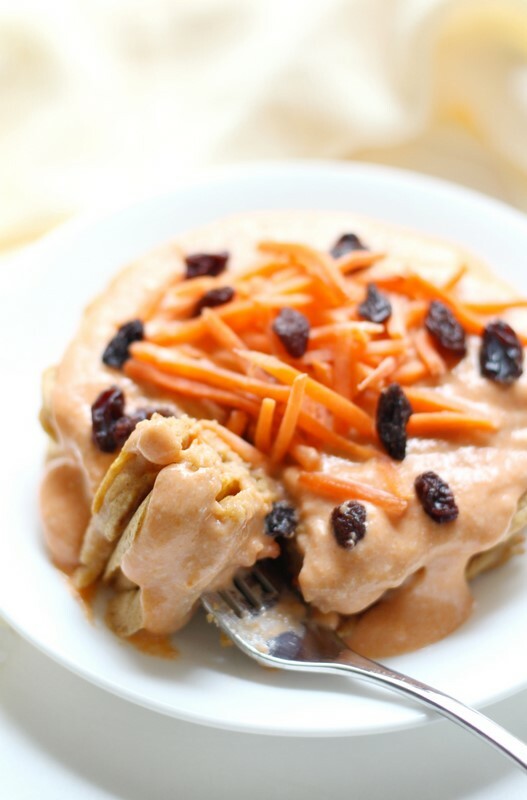 With eggless vegan pancakes, I find that they never turn out the way I thought they would taste, so keep an open mind, and you may find out they taste better than you thought! If the opposite is the case, then move on to another recipe. 3. If you’re using any type of flour with gluten then let the batter rest for at least half an hour in the fridge before cooking. This will relax the glutens and result in tender pancakes. 4. Always preheat your pan and test it with a tiny amount of batter before moving onto your real cakes. 5. Cook in small batches, and keep them warm in the oven while you make the rest. And if you love to get loads more tips on delicious, healthy plant-based cooking plus 145 delicious vegan recipes, all designed with YOUR HEALTH in mind to meet all nutrient needs, boost energy, fight fatigue, and transform your eating habits for good – Download The Complete Vegan Recipe Solution. Light, fluffy and a easy to pull together with pantry stapes you’re sure to have around the house. Combine the flour, baking powder and salt in a bowl. In a separate bowl, combine the milk, oil and sweetener. Add the milk mixture to the flour mixture and mix just until moistened, a few lumps are okay (Don’t overmix or the pancakes will be tough). Pour the batter onto the griddle to form circles about 6 inches in diameter. Cook the pancakes for a couple of minutes on one side, until bubbles appear on the surface. Flip the pancake and cook the other side until golden brown. 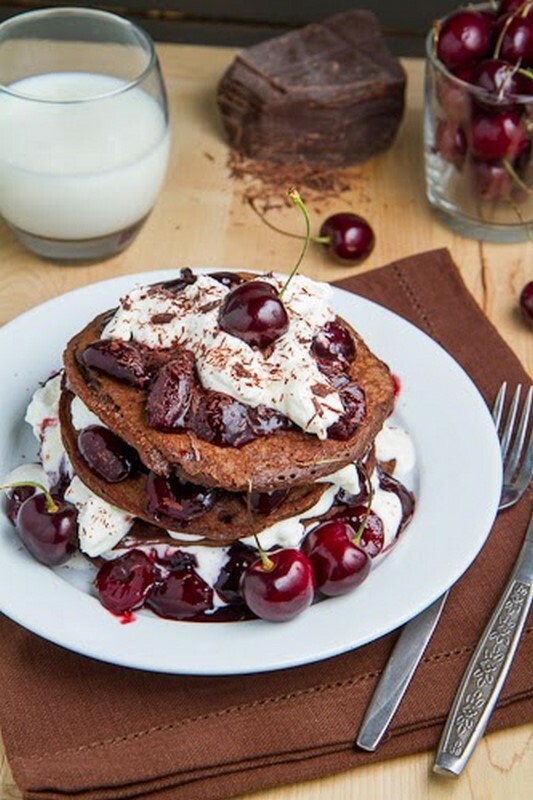 Vegan banana pancakes topped with rich dark chocolate ganache. 3/4 Cup of dark chocolate chips. 1 heaped Tbsp of maple syrup. 1/2 Cup of almond milk. In a food processor, puree all your wet ingredients. In a separate bowl, mix all your dry ingredients. Using a ladle, scoop your batter into the pan and cook your pancake for about a minute, flip and cook for another 30 seconds. 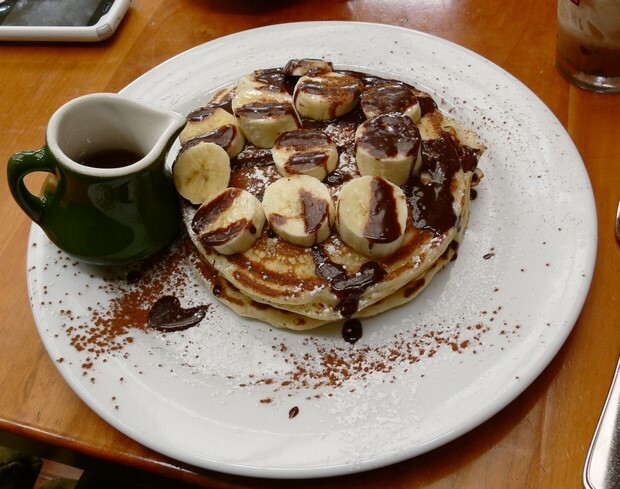 Short-stack your pancakes and garnish with a sliced banana and your awesome ganache. Preheat a non-stick (I use cast-iron) frying pan over low-medium heat. Grease the frying pan a little if needed. Blend all pancake ingredients until smooth. Scoop 1-2 tbs of batter for each pancake and spread the pancake slightly with the back of a spoon, so it becomes a neat circle. Fry the pancakes for about 2-3 minutes, or until the top is partially cooked through. Flip the pancakes and fry on the other side for a further minute or two. Set aside while you make the cream. Stir all cream ingredients together in a small saucepan. Bring to the boil and remove from the heat when the mixture starts to bubble and thicken (should only take a few minutes). Layer the pancakes with the cream, ending with the cream. Garnish with more cherries, if desired. Gluten-free, made with chickpea flour. Peel and de-core your apples. Chop them into chunks and pop them into a steamer. Steam until soft. Remove from steamer and place into a blender, puree until smooth. Get your frozen blueberries out the freezer, and set aside allowing them to thaw out. In a small bowl, place the chia seeds and boiling water and set aside leaving them to swell. This is the egg-replacement in the recipe. Add the coconut oil to the puree mixture, as it’s still warm it’ll help the coconut oil melt. In a mixing bowl, add the chickpea flour, baking powder and salt. Mix thoroughly. Add the pureed apple mixture with the coconut oil, your choice of non-dairy plant milk and the frozen blueberries (leaving some for garnishing) and once the chia have swelled, add them too. 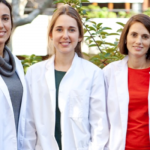 Mix together thoroughly until all combined. Now your mixture is done! On a medium heat on a non stick pan, spoon out the mixture into the desired thickness and size you’d like. Once you begin to see bubbles on the top, which has become firm, flip the pancake to cook on the other side. Repeat until the mixture is finished. 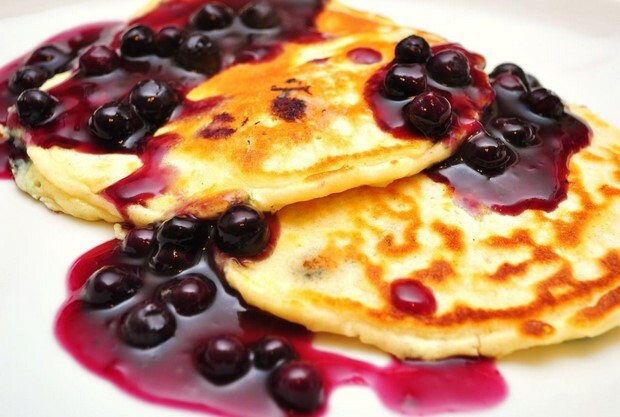 Stack onto a plate and serve with the coconut yoghurt and garnish with blueberries. Carrot cake breakfast perfection. Get the recipe here. Combine all ingredients except the chocolate chips in a mixer until smooth. Place in the fridge for 10 minutes. Heat the oil in a small pan on medium heat. 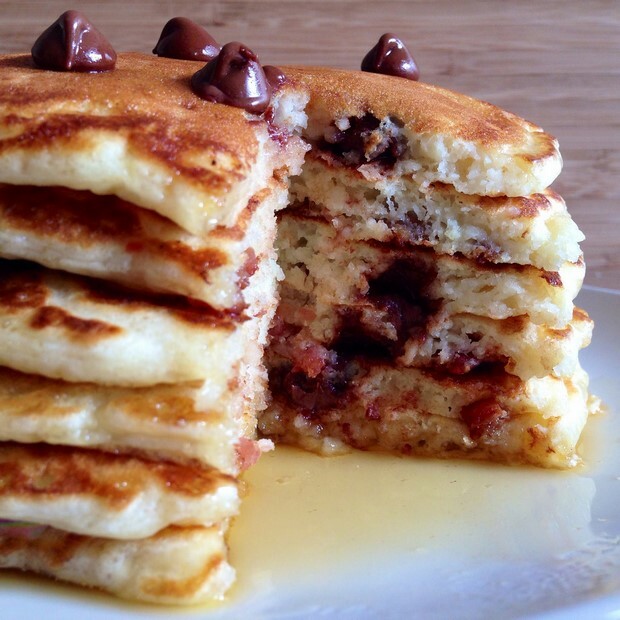 While the pan is heating up, add the chocolate chips to the pancake batter. Stir gently. Fry for about 2-3 Minutes or when bubbles appear. Flip over! Finally, top your pancakes with as much chocolate spread as you like. Blueberry and lemon is always a great combo! Get the recipe here. 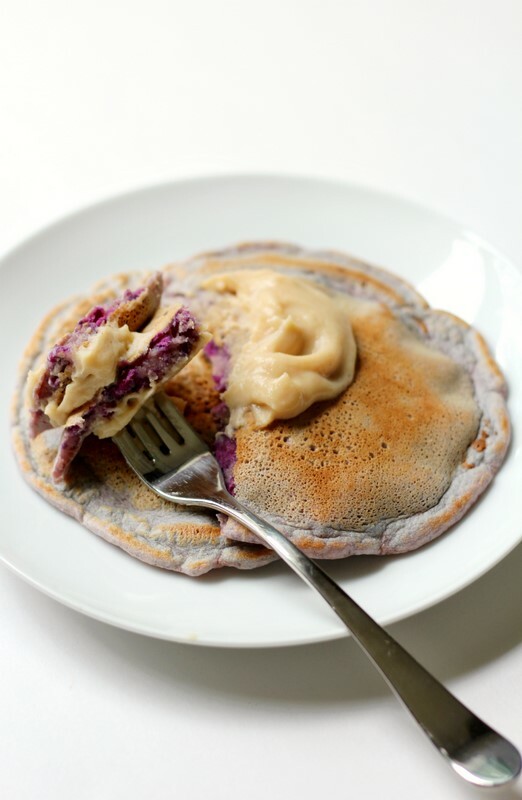 Healthy, chemical-free purple pancakes, I’m sold! Get the recipe here. 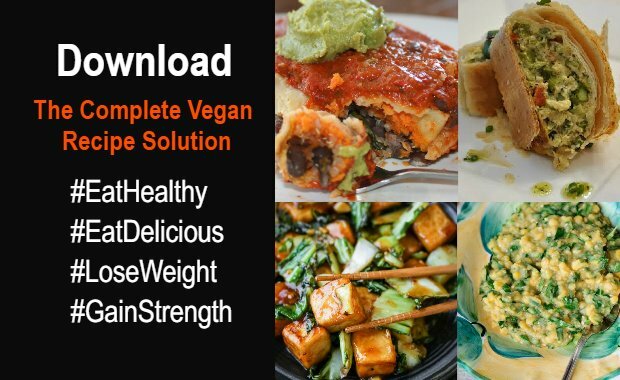 If you love to get loads more tips on delicious, healthy plant-based cooking plus 145 delicious vegan recipes, all designed with YOUR HEALTH in mind to meet all nutrient needs, boost energy, fight fatigue, and transform your eating habits for good – Download The Complete Vegan Recipe Solution.